Home Events & Classes Networking Events MHEDA-NET Live! MHEDA-NET: Live! Is a new networking event for both MHEDA-NET members & MHEDA members designed to maximize industry connections. Meet face-to-face with other MHEDA-NET Members. 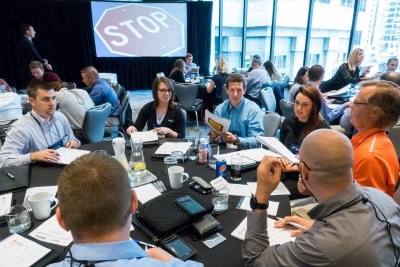 Participate in an interactive and unique networking experience with fellow Material Handling Professionals. Learn how to lengthen the employee life cycle and how the ROI for everyone is increased exponentially when finding “purpose” at work. Engage with your peers during structured networking activities. This event is designed for MHEDA-NET Members, but all MHEDA Members are welcome to attend! If you’re not currently in a MHEDA-NET group and are interested in learning more, please call 847-680-3500 or email connect@mheda.org. Anyone who wants to network, learn and engage the power of purpose! Join us for a fun evening at Martin’s Bar-B-Que Joint and enjoy a dinner, drinks and networking. Get to know fellow attendees at one of downtown Nashville’s hottest establishments. 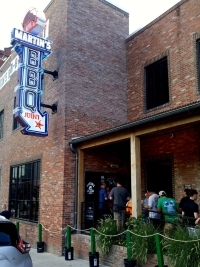 There’s no experience more perfectly Southern or more perfectly Nashville –than a visit to Martin’s Bar-B-Que Joint. Additional Registration Fee Applies. A recent article in the Harvard Business Review brings to light the power of finding “purpose” at work. When successful, employee performance and commitment can reach extraordinary levels; the employee life cycle is lengthened and the ROI for everyone is increased exponentially. Purpose is something we choose by identifying and living out our core values. When we can amplify our organizational core values, we provide a motivation that far surpasses traditional incentives and training. In this highly engaging, Rock ‘N’ Roll fueled, interactive session, Brant explains the secrets and science of why engaging purpose has the most transformational impact on company culture. Use organizational core values to connect the head and the heart. Identify and schedule opportunities to showcase organizational core values in action. Empower your “Super Fans” to be key influencers. Provide opportunities for believers to write themselves into your narrative. 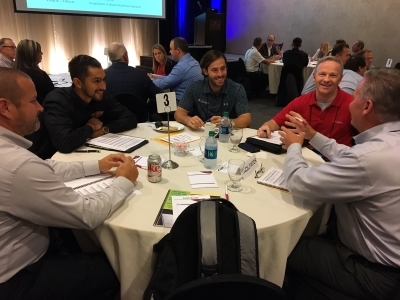 Roundtable discussions are interactive and engaging, giving you the opportunity to discuss the 2019 Material Handling Business Trends with your fellow MHEDA-NET Members and Members from other groups. This interactive session is designed to help you discover personal core values while understanding what motivates us to stay committed in the face of adversity. While the process of determining what matters most to us is a journey, this exercise embraces the crucial first steps needed to place you on the right path to truly rock your goals! Discover your 5 personal core values. Define what truly matters allows for faster more powerful decisions. Schedule opportunities to align personal and organizational core values. Help those in need by participating in a Give Back activity. 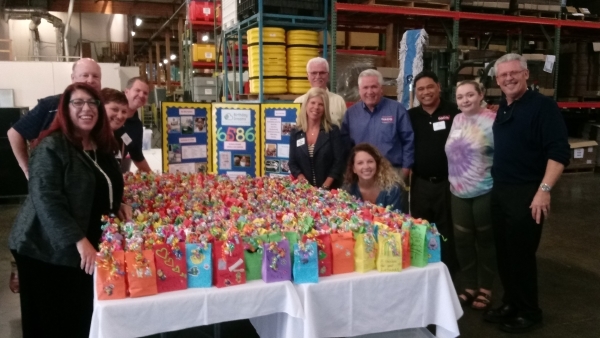 We will be assembling care packs for a local children’s hospital. This event is included with your registration. Monetary donations are being accepted to purchase goods for additional packets. 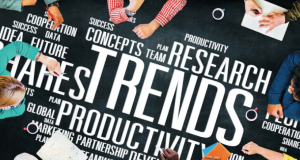 Here from fellow MHEDA-NET members on the latest Material Handling Business Trends including; Digital Marketing, Recruiting & Retention, Dealership of the Future, Succession Planning, Technology and more. After of busy day of learning, continue to network with fellow attendees by enjoying drinks and appetizers during a Happy Hour reception. Included in your event registration. Brant Menswar is a passionate and challenging thought leader on purpose, core values, collaboration and change. 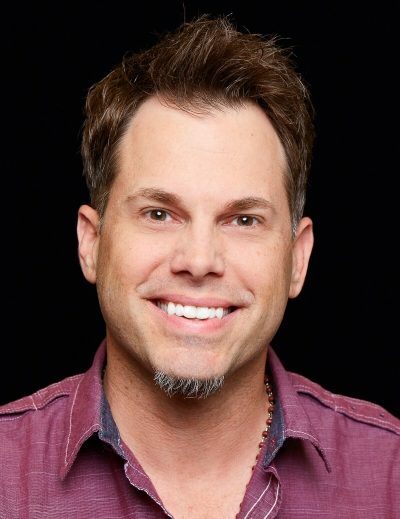 He is an award-winning musician with his critically-acclaimed band, Big Kettle Drum; author of “Rock ‘N’ Roll With It: Overcoming the Challenge of Change” and one of the country’s premiere impactful speakers. Brant has embraced the opportunity to help shape the culture of some of the world’s most influential organizations, including NASA, Cisco, Netflix, Microsoft, Northrup Grumman, Verizon, Hilton, Hard Rock International, Baxter, Daimler, Bentley, St. Jude and dozens more. He is a proud alumni of Florida Southern College and celebrity ambassador for Teen Cancer America. 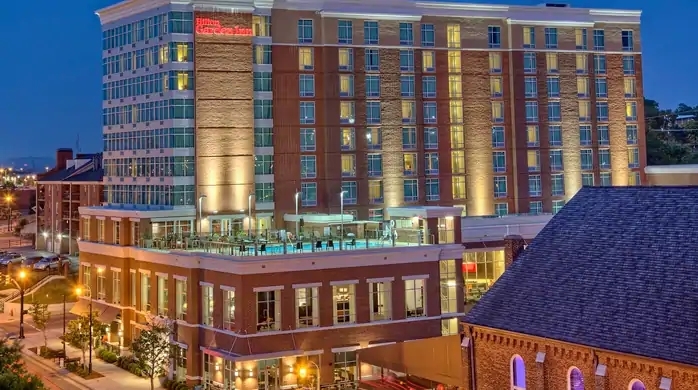 Hilton Garden Inn Nashville Downtown/Convention Center is set in the heart of downtown Music City, providing outstanding service and warm southern hospitality. Enjoy being within walking distance to Music Row, Nissan Stadium, Bridgestone Arena, and the Country Music Hall of Fame. The hotel is located just 15 minutes from Nashville International Airport. Rate is available until February 7th or until room block fills up. Call (615) 251-3013 and ask for the MHEDA Rate or book online. MHEDA-NET is a free, organized networking service offered to members to meet via conference call with other members from non-competing markets to discuss common business issues. 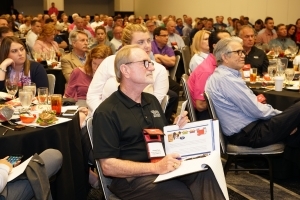 This is your opportunity to network with the most respected professionals in the material handling industry and increase your knowledge through shared experiences. This service is available to both Distributors and Supplier/Associate members. Groups are customized based on your professional networking needs. Why Should You be a Part of MHEDA-NET? Convenience –virtually participate in a confidential sounding board. Depending on your networking preference, you have different avenues to explore.